‘Come Up To My Room’ returns for the 14th year to pack all four floors of the Gladstone Hotel with site-specific, immersive art and design installations from January 19 – 22, 2017. And how do we celebrate Toronto’s favourite alternative art and design event? With a party, of course! 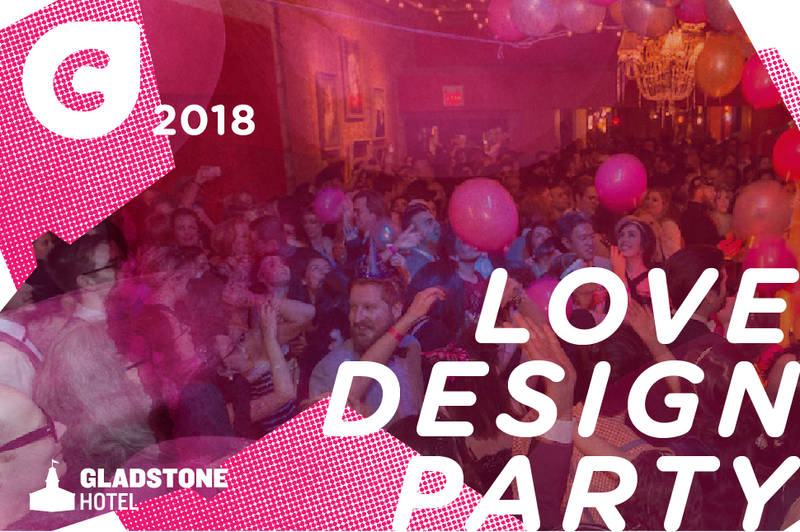 Love Design Party is the official celebration of #CUTMR2017 and closing party for the Toronto Design Offsite Festival. Experience ‘Come Up To My Room’ on Saturday, January 21, for the opening reception and explore all four floors —then drink and dance the night away in the Ballroom amidst installations by Rana Malik. Admission to this party is FREE while capacity allows. Grab your tickets to CUTMR 2017 on the Exhibition Page on the Gladstone Hotel’s website to explore the four floors of site-specific installations.